With BB creams and CC creams taking the beauty industry by storm, make sure you know the essential differences between the two. Though the popularity of BB creams started in the Korean cosmetics industry, the concept was actually first conceived in Germany in 1967, when a dermatologist developed a “Blemish Balm” for her patients to use after facial peels and surgery, providing coverage for scars or redness as the skin healed. The idea was adapted by Korean cosmetics brands in the mid-80s, and BB creams soon became the beloved beauty secret of Korean celebrities – but they wouldn’t remain a secret for long. Soon enough, BB creams surged in popularity within Asia, and eventually became a global beauty trend. Today, BB creams can refer to “Blemish Balms” or “Beauty Balms”, and usually provide coverage for blemishes or imperfections, as well as sun protection. Think of a tinted moisturizer or foundation with the benefits of SPF. Evolving from BB creams, CC creams have taken their place as the must-have beauty product. Compared to their BB predecessors, CC creams – which usually stand for “Color Correcting” – tend to have a more lightweight texture, help to even out skin tone, and contain additional skincare-related benefits such as moisturizing, and treatment of blemishes and spots. 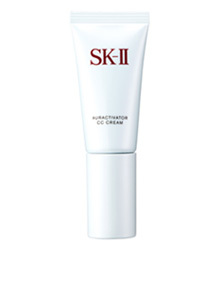 SK-II’s new Auractivator CC Cream – which stands for Complete Correcting – marks a revolutionary turning point in the CC cream game as the ultimate beauty multitasker. Flawless coverage? Definitely. Sun protection? Of course. A brightening effect for a radiant, natural glow? Even better. Combining the brand’s renowned skincare expertise with flawless cosmetic benefits, the tinted CC cream provides instant yet breathable coverage over spots and imperfections, while the active skincare ingredients work hard beneath the surface to visibly improve the skin’s complexion, tone, and radiance over time. 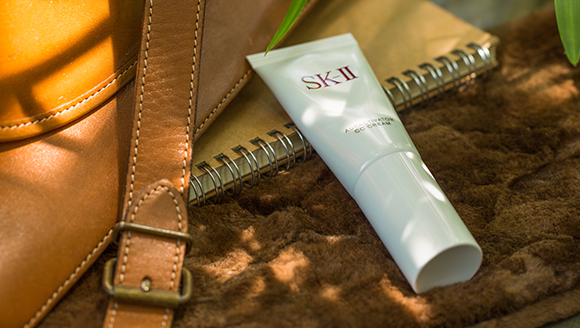 In addition to moisturizing and full UV protection with SPF 50+, PA++++ Auractivator CC Cream boasts SK-II’s signature Pitera as well as the breakthrough brightening complex, Day Soft Aura White. In other words, your beauty routine's new best-kept secret.